Zucchini pasta has to be one of the easiest and quickest meals to make – the only hard part is choosing the sauce to stir through. Today a creamy pesto sauce topped with a few sun-dried tomatoes. Place the zucchini noodles into a bowl and set aside. Place all other ingredients into a blender or small food processor and blend until smooth and creamy. 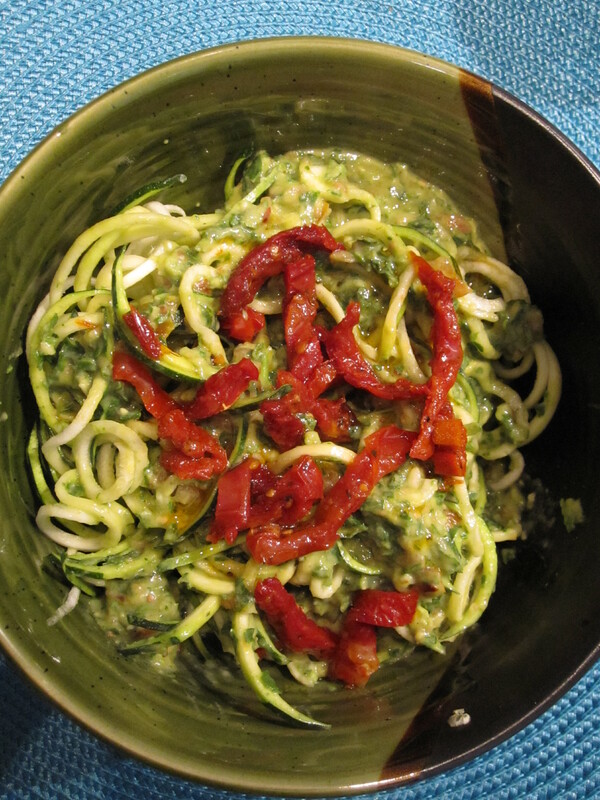 Stir through the zucchini pasta and top with a few sun-dried tomatoes.